Infinite Crisis, All-Star Superman, and a great month for new trade paperback sales helped the direct market to double-digit gains in November, according to my analysis of the sales reports released by Diamond Comic Distributors on Dec. 16. Click to see the estimates for November 2005. Stable year-over-year sales for comics were complemented by a $4.74 million month for Diamond's Top 100 trade paperbacks, a 23% increase over the same month in 2004. DC's OMAC Project led the way among trades, with more than 10,000 copies sold into the direct market. The market continues on pace for a $350 million year in the direct market. I had earlier projected a range between $340 and $350 million, but the market now looks as if it'll wind up nearer the higher end of that range. As of this past Wednesday, December 14, we have passed the overall dollar sales mark in the direct market set in 2005. From here on out it's new growth. It's all gravy from here. Comics unit sales: The Top 300 comic books had retailer orders of 6.47 million copies in November 2005, essentially unchanged from November 2004, which had one less shipping weeks. November 2004 was actually slightly higher in units, but by less than half a percentage point. For the first 11 months of 2005, the Top 300 comics from each month have sold a combined 69.57 million copies, an increase of 2% over the same period in the previous year. DC's Infinite Crisis #2 ran away with the top spot, moving more than 207,000 copies. All-Star Superman's debut issue topped 170,000 copies to come in second. The two debut publishers in the Top 300 were Udon, which placed 198th with Exalted #1 selling about 7,300 copies, and ACC Studios, whose Liberality for All sold about 2,600 copies through Diamond in November, placing 262nd. Comics dollar sales: The Top 300 comic books had sales worth $19.37 million in November, 3% more than in November 2004. For the first 11 months of 2005, the Top 300 comics from each month have sold a combined $201.72 million, an increase of 4% over the same period in the previous year. Trade paperbacks : The Top 100 trade paperbacks and graphic novels reported by Diamond had orders worth $4.74 million at full retail in November 2005. That's an increase of 23% over November 2004, by far the biggest growth category. Adding those to the Top 300 comics for the month yields $24.11 million, an increase of 5% over November 2004. For the first 11 months of 2005, the Top 300 comics and the Top 100 trade paperbacks from each month had orders worth $243.71 million, an increase of 6% over the same period in 2004. The November 2005 total was $32.28 million, which increases to $35.92 million, when Diamond?s United Kingdom orders are added. The November figure is a 12% increase over that of November 2004. Overall, the last 11 months stand at $320.7 million, up 8% over the same period in 2004. Market shares: Marvel retook the top slots in Diamond's reported overall unit and dollar market shares, thanks in part to its placing 87 items on Diamond's Top 300 comics list versus DC's 93. Dark Horse again tops Image's dollar share in the wider categories, whereas Image is third when looking just at comics. 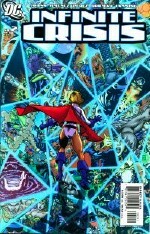 Price analysis: The average comic book on Diamond's Top 300 list cost $3.19, up from $3.10 in November 2004. The weighted average price — that is, the cost of the average comic book Diamond sold — was $3.00, up from $2.90 last year. This explains how the number of comic-book units sold could go down while the dollars they represented went up. The average price of the comics that made the Top 25 was $2.84, up 12¢ from November 2004.